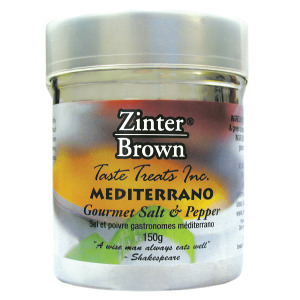 Zinter Brown Gourmet Salt & Pepper is a magnificent blend of gourmet spices with the distinct taste of Italy. This gourmet salt blend is an inspiring twist of the finest quality sea salt, black and green peppercorns, sundried tomatoes, basil and parsley. Gourmet Herbs And Spices With Sea Salt & Pepper - Bellissimo! 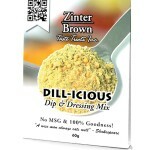 Sprinkle liberally on pasta, salads or your favorite cuts of meat. 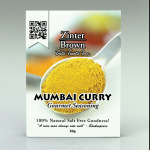 Gourmet spices are also ideal for stews, soups and Italian inspired sauces. Need further inspiration? 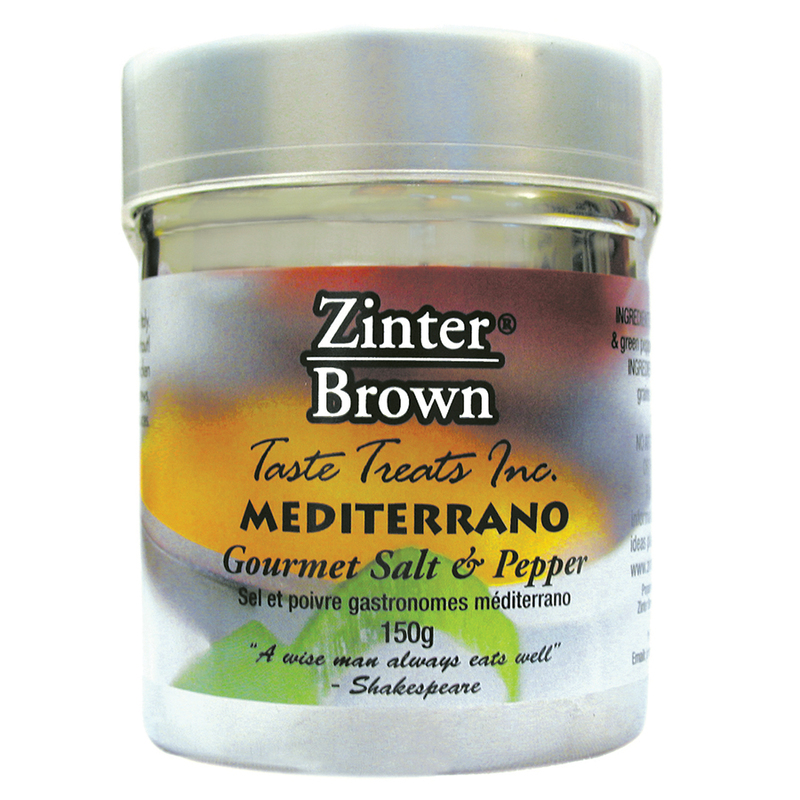 Try one of our many delicious recipes using Mediterrano Gourmet Salt & Pepper. Purchase our gourmet salt & pepper online. Proudly Canadian, we ship our products within Alberta, as well as to other international destinations. 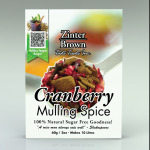 Our gourmet herbs and spices, condiments and pepper pots will excite your taste buds and reinvigorate creative cooking. Enjoy!